"The boundaries which divide Life from Death are at best shadowy and vague. Who shall say where the one ends, and where the other begins? " Edgar Allan Poe There has been a wide range of paranormal activity associated with the Edgar Allen Poe House Museum located in Baltimore, Maryland. 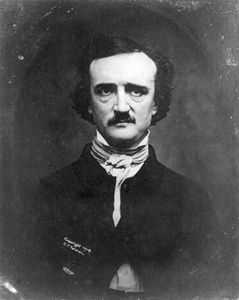 On the 7th day of October in the year of 1849, one of the greatest writers to hit the world, Edgar Allen Poe passed away. However, many individuals claim that the spirit of this well versed writer still roams the world that he left behind. While the cause of his death continues to go unknown, his body rests at the Westminster Graveyard in the area of Baltimore. However, his legend continues to live on with the paranormal activity of the Edgar A. Poe House Museum. The Edgar Allen Poe Museum is actually located in the home that he resided in during his lifetime. It was built right around the year of 1830. Today, the house serves as a museum dedicated to his tragic life and fascinating writings. However, there seems to be much more in the house than just remnants of Poe’s life. Individuals that work at the museum and others that have visited the home feel that there is a high level of paranormal activity in the structure. However, it is not believed that Poe is actually haunting the house – it seems to be other spirits. Many individuals have stated that an elderly lady haunts the Edgar Allen Poe House Museum. This female spirit seems to be from the time period of the 1800’s. She does not seem to be angry, or out to “spook” anyone. As a matter of fact, most ghost hunters believe that she is simply a residual haunting, or an “energy” that lingers in the structure from the past. However, there does seem to be a rather intelligent spirit that has caused a little havoc in the museum. One example of the problems this spirit caused was when a lady was changing in a room and a window fell abruptly for no apparent cause. Many individuals in the Poe house have felt as if they have been touched physically only to discover that no one is there. Many have felt, firsthand, cold and chilling breezes – even in the warmest of Baltimore days! Voices for which there is no explanation have also been heard in the museum. Doors and windows opening and closing, and the sound of footsteps and thumps can often be heard throughout various locations in this structure. If you are looking to visit a haunted house, this may be a great choice, but it is best to go on the birthday of Poe. If you go to Poe’s house on his birthday, be sure to stop over at the cemetery where he is buried. Since around the year of 1949, a strange man that no one knows visits the grave to place a bottle of whiskey and three red roses on the grave. Is it possible that this man is a spirit? Is there a connection between Poe’s death and this strange visitor? Could the visitor be a manifestation of the hauntings at Edgar Allen Poe’s House Museum? You decide!